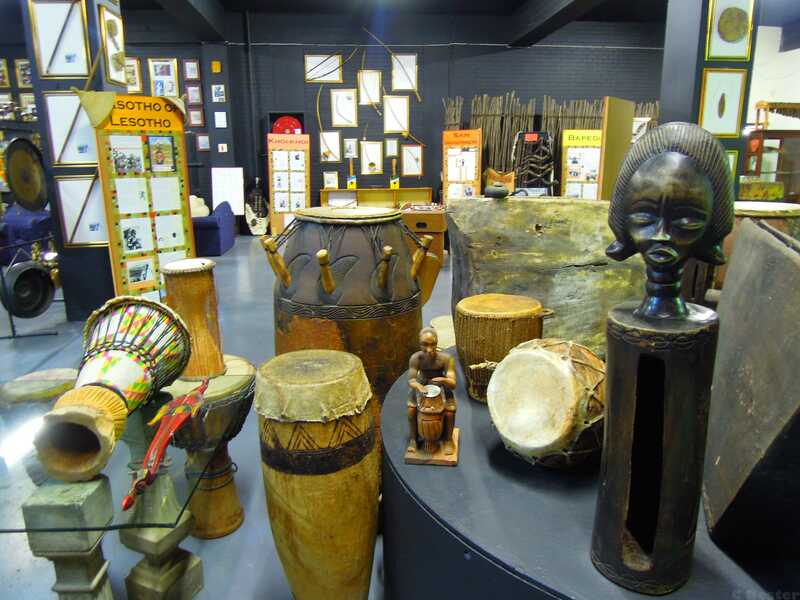 Drum Café has created a unique museum of traditional African instruments that is based at our main office in Johannesburg, South Africa. 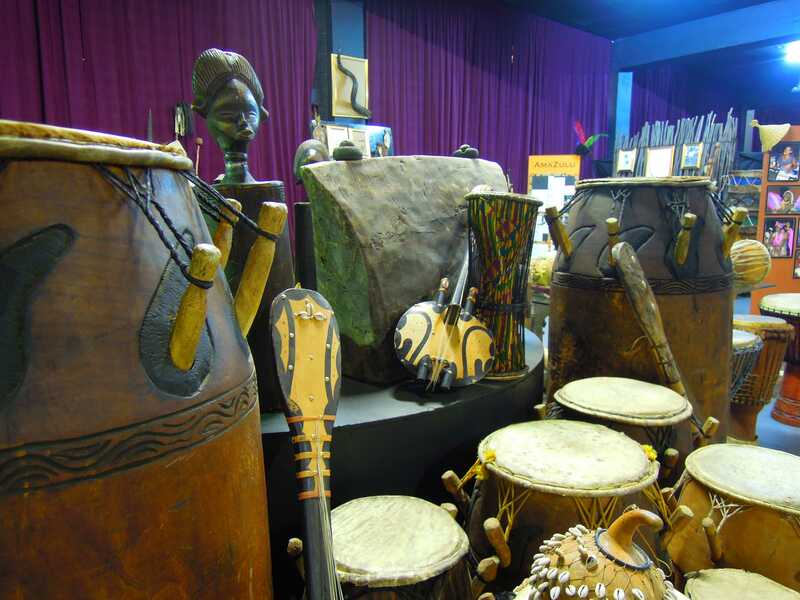 This historical display boasts a wide range of traditional African instrument; including an assortment of extremely rare and large African drums, Kudu horns, ancient marimbas, traditional flutes, shakers, bows, Zulu shields and spears. 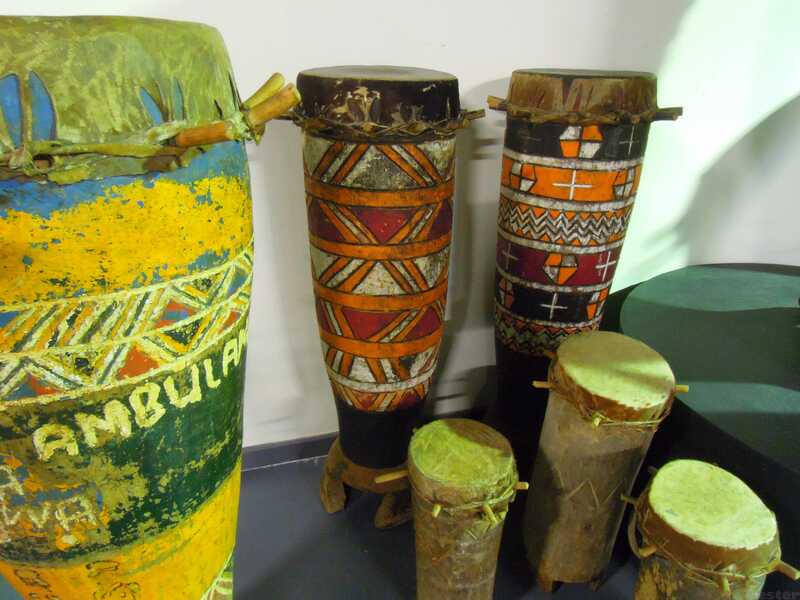 You can also see a huge array of kalimbas, as well as masks and many small percussion instruments.